Closed – The strawberry plants are all covered up for winter and awaiting a sunny spring. Check back in the coming months for further updates. 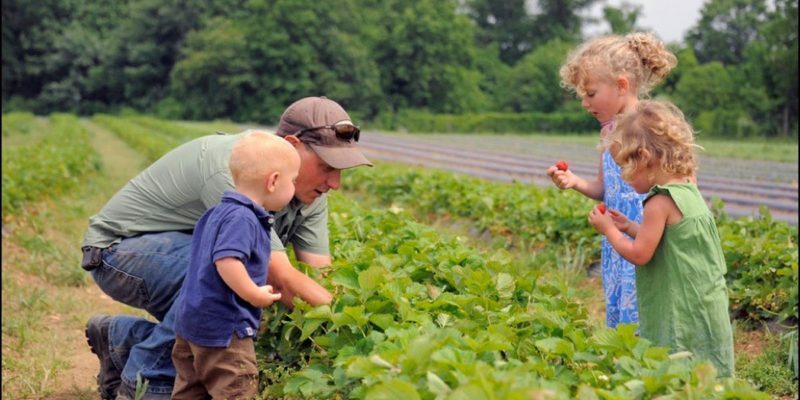 Pick your own Strawberries is open mid May – Early June. It is open to our CSA members and the general Public. If you “like” the page you should get the status reports as they happen. Once picking begins we will be open 7 days/week, weather and berries permitting. Picking hours, during the season, are 10am-6pm on weekdays and 10am-4pm on weekends. Status updates for strawberry picking will be on this “Strawberry Fest” page of our website.